Although the look of toilets has changed over time, along with the styling of the parts inside, the basic gravity-flush toilet we all grew up uses the same basic principles used since the flush toilet was invented by Sir John Harington in 1591. This design is known as a gravity-flush toilet, meaning that it does its work simply by the force of gravity on the water and has no mechanical assistance of any kind. While pressure-assisted toilets are becoming more common, the standard gravity-flush design is still by far the most common in residential homes. With a simple design and relatively few moving parts, repairs are quite easy. The lack of any mechanical parts makes the repairs fairly inexpensive, as well. Let's take a look at what happens when the toilet is flushed. When the handle of the toilet is pushed, the flush lever inside the tank attached to a lift chain lifts up a flapper valve at the bottom of the tank, allowing a large amount of water to rush down from the tank and into the toilet bowl through the flush valve opening. The forceful action of the water is what forces waste in the toilet bowl through the toilet trap and into the house drain system and from there out to the municipal sewer lines or septic field. A loose or disconnected lift chain joining the lift arm to the flapper valve can cause the toilet handle to simply jiggle and not lift the flapper valve off the flush valve opening. No flush occurs. A loose handle mounting nut can cause the handle to wiggle loosely when depressed. If the lift chain is too long, the flapper valve will not lift up high enough, and the toilet flush may be incomplete or may require that you hold down the handle for several seconds in order to flush completely. As the water flows from the tank down the bowl, it flows through a series of holes in the underside of the rim to create a circular motion in the bowl, which helps facilitate the flushing of waste out of the bowl. At the same time, the dropping water in the tank causes some kind of float device in the tank—either a float ball or float cup—to follow the water level downward. This causes the fill valve (sometimes called a ballcock) to activate and begin refilling the tank after the flapper has settled back into the flush valve opening. The fill valve also sends a thin jet of water through a plastic or rubber tube into the overflow tube that is part of the flush valve assembly. This small stream of water flows down the overflow tube and into the bowl, refilling the emptied bowl with standing water. If the refill tube slips away from the overflow tube, no water will go down into the toilet bowl, and it will not refill with standing water. If the flapper valve is worn or misaligned, it will not reseat in the flush valve opening after the flush, and water will continue to leak down into the bowl; the toilet valve (and the fill valve) will continue to run because the tank never fills up. As the water level in the tank rises, the float ball or float cup rises along with the water. 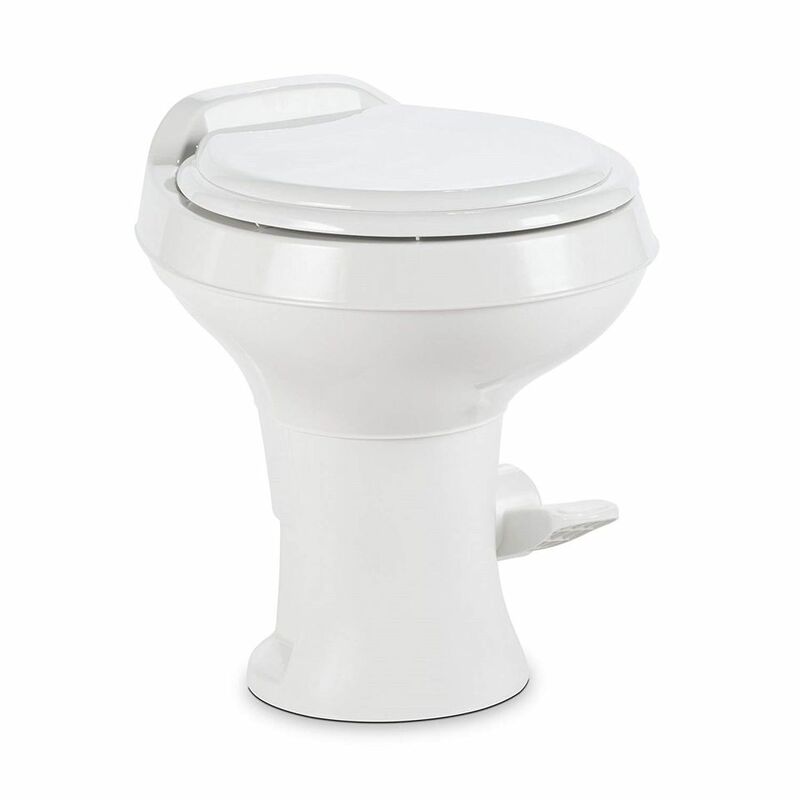 The fill valve shuts off when the water reaches the required level, and the toilet stops "running." The toilet is ready for the next flush. If the fill valve is not adjusted properly, the level of water in the tank may climb too high, which causes water to spill over into the overflow tube. The toilet will continue to run constantly. If the water level in the tank is too low, the toilet will flush incompletely, failing to completely empty the toilet bowl of waste.